Jagdishwar Mishra fondly known as Jolly, goes against the system and seeks justice as he fights the most important case of his life! One line Review: Injustice anywhere is a threat everywhere! The movie closes with this line and sums up to prove it rightly. 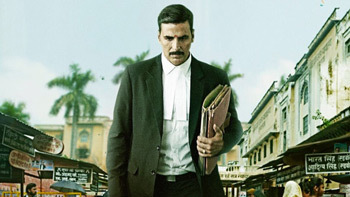 Positive Points: The film is an unfortunate reflection of the state of our country’s jurisdiction. Moreover, the movie is set at a realistic backdrop and stayed true to its genre. The film sees some of the finest performances and sharp dialogues that hit at the right ends. Negative Points: There are several loopholes in the second half as compared to the crisp first half. Also, there are a few inexplicable aspects that seem unsound. From ‘Nepotism’ to ‘Sequels’ and ‘Controversies’ to ‘Blockbusters’, a few words that defined 2017!